Tea?? It's oriental, it's Asian, it's hot in the pot. But Moonleaf's tea is different. It deviates from the traditional tea that we see in cute little tea cups in restaurants. It's a hip and cool tea of different flavors. 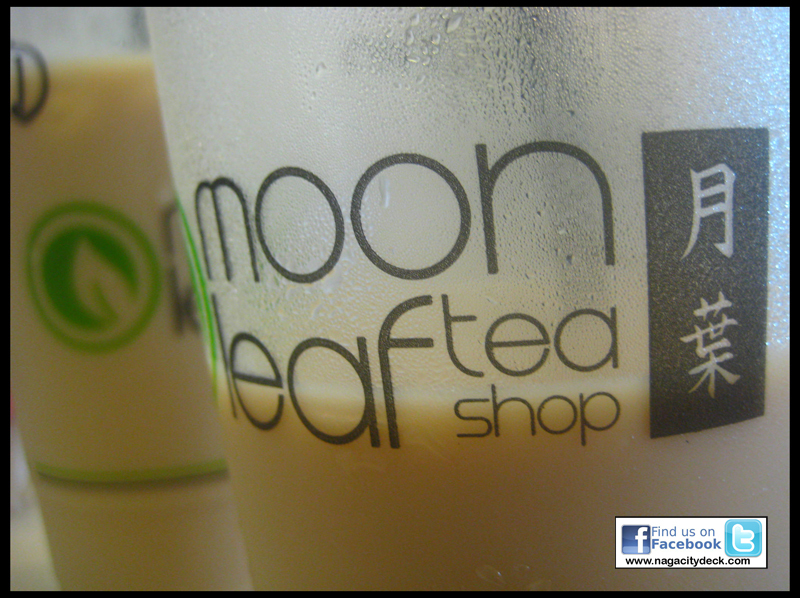 Moonleaf Tea Shop is the second shop after Bubble Town Tea House. Hmmm the tea industry in Naga is growing! THE PLACE: A brightly lit green and white interior shop at the ADC Commercial Complex. 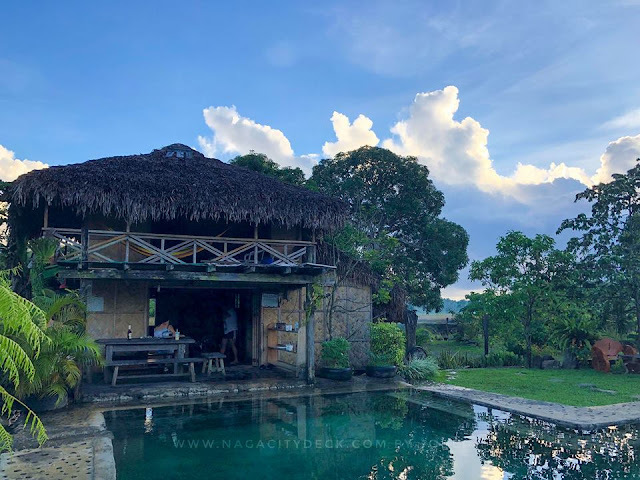 This shop brews a rare kind of tea experience that will surely captivate your senses. Moonleaf's place is cozy and the colors are in glee. 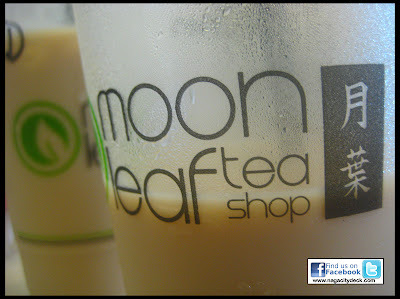 THE TEA: Cold and or Milk Tea being popular nowadays is the basic concept of Moonleaf. 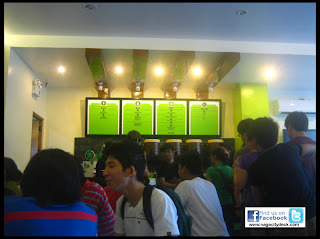 Wintermelon Milk Tea (WMT) I suppose is the best seller of this tea shop. 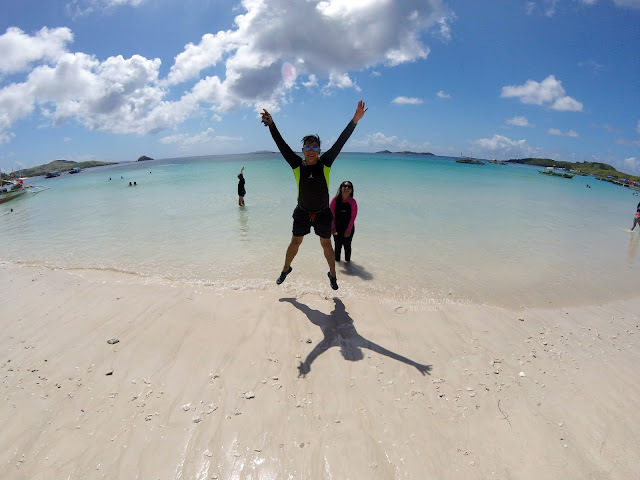 The word of mouth is too viral and the effect of social networks that the WMT has been getting a lot of good feedbacks from my friends who already visited the place. 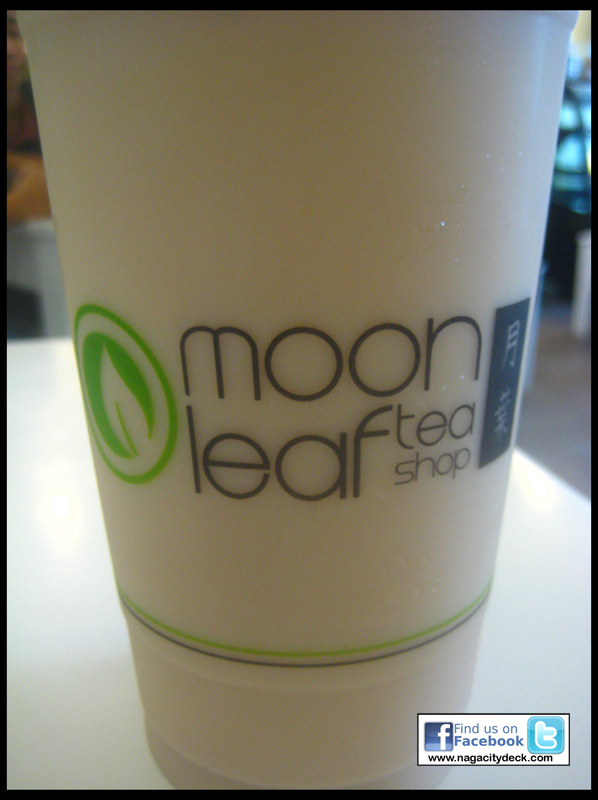 VALUE FOR MONEY: Moonleaf has a huge serving and no other size of serving is available. 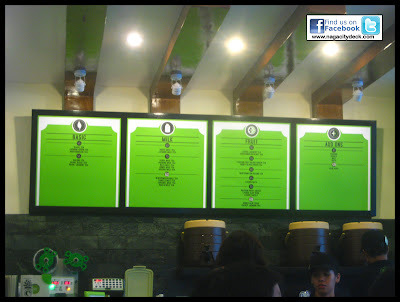 The basic tea starts at Php 45 to 55, milk tea starts at Php 60 up to 75 and the fruit tea starts at Php 50 to 75. Add ons such as pearls, natas etc costs from Php 10 to 15. (Prices are subject to change without prior notice) Not bad right? 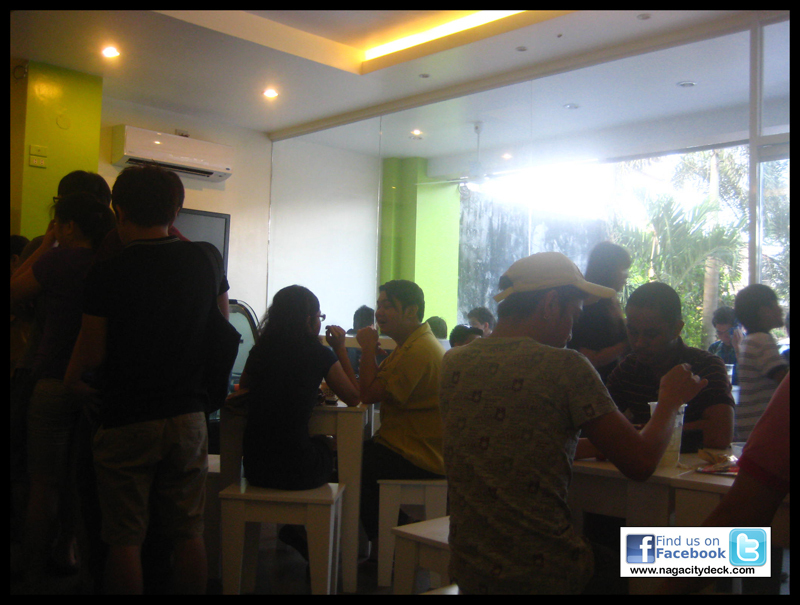 The prices reflect the number of people who frequently visits the place and most of them are students and yuppies. But do not get me wrong, since it's tea, the middle aged people will surely enjoy Moonleaf's tea with a twist. 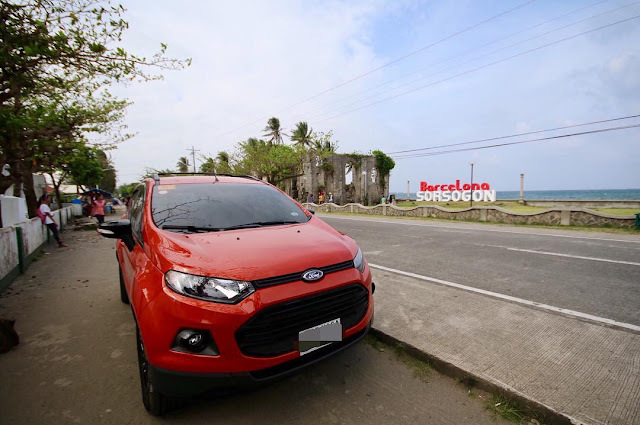 So, bring the whole family and spend some quality time with them. If however your a little bit short with finances, you can always save up a little if you're that curious of how it tastes. THE BARISTAS: Expect smileys on your drink :) Freely given and freely written. 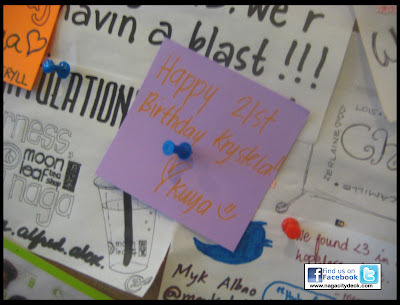 Friendly and accommodating, customer satisfaction and Nagueno's hospitality is one sure added color to the shop. 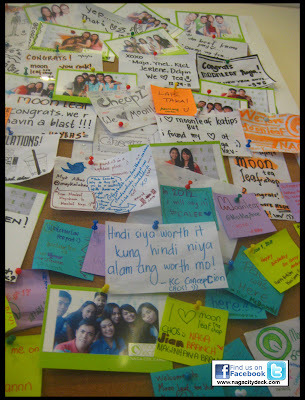 And yes, NCD was at Moonleaf Tea Shop and it seems I will be coming back for more to try other flavors. Now serving cakes and pastries!